Effective January 1, 2011, §153(b) of the Medicare Improvements for Patients and Providers Act (MIPPA) requires the implementation of a bundled ESRD prospective payment system (ESRD PPS). The ESRD PPS provides a single payment to ESRD facilities that will cover all of the resources used in providing outpatient dialysis treatment, including supplies and equipment used to administer dialysis (in the ESRD facility or at a patient’s home), drugs, biologicals, laboratory tests, training, and support services. Form CMS-265-11 must be completed by all independent end stage renal dialysis (ESRD) facilities that are not hospital-based for cost reporting periods ending on or after January 1, 2011. Submit the form to your fiscal intermediary (FI)/Medicare administrative contractor (MAC) (hereafter referred to as contractor) no later than the last day of the fifth month following the close of your cost reporting year. The Compliance Guidance for Physician Practices and the Federal Sentencing Guidelines provide useful information concerning the process that is required to develop appropriate compliance programs. A health care compliance attorney, preferably with demonstrated knowledge of the compliance process through appropriate certification in health care compliance, can also be a terrific asset to help you design a program. I may be repeating myself, but it is extremely important that you do not simply adopt a “canned” program and expect it to reduce your risks or be effective in the event that the government comes calling. It is extremely important that you follow a systematic process for assessing risk and tailor your compliance program to address precise risk areas that are identified through the process. It is imperative that you document in detail the steps that you take to develop your program. When developing your program, and later while operating your program, you should at all times assume that someday you will be called upon to defend the program and demonstrate that it indicates a meaningful organizational commitment to the specific compliance risks that you face in your unique practice environment. As mentioned above, a compliance program should be developed with consideration for the actual risks that are present in the specific practice. This requires the practice to perform a formal analysis that is aimed at identifying specific risk areas. The extent of the needs analysis will depend on the size and complexity of the practice. Methods of performing the analysis will range from a full blown “gap” analysis with scoring of various risk areas down to a more simple employee questionnaire that asks for input concerning risk from the perspective of individual employees. In smaller, less complicated practices, such as a simple primary care practice, the needs assessment will be relatively simple. More complex specialty practices will touch on a much broad array of risk areas. Each item identified through your needs assessment will need to be prioritized and appropriately addressed in the compliance program. The Federal Sentencing Guidelines require the appointment of a single individual with responsibility for compliance in the organization. The individual should be a “high ranking” individual with direct access to the Board of Directors or other governing authority. Smaller physician practices will generally designate one of the physicians as compliance officers. A member of administration may be named compliance officer in larger clinics. Ideally, the compliance officer should not be in-house counsel because of potential conflicts between the differing roles of advocate and compliance officer. An attorney has ethical obligations to zealously defend the organization. This will sometimes mean that the best course of action from a legal standpoint may be to “deny and defend.” This will never be an appropriate course of action from the standpoint of a compliance officer whose primary job is to prevent compliance problems. The compliance officer will work to bring problems to the surface and disclose them when they are uncovered. This will often conflict with the role of general counsel. Certainly general counsel plays an important role in compliance, but not as compliance officer. Most general counsel are already busy providing legal services to the organization. Placing compliance under general counsel makes compliance a secondary function of the general counsel and fails to demonstrate adequate commitment to organizational compliance. The “dual role” compliance officer will appear to work until a problem arises. Several cases involving “dual role” compliance officers have been investigated by the Federal government. Once an investigation commences, the organization generally quickly abandons the dual role compliance structure and appoints a dedicated compliance officer. In the most visible cases, the general counsel was actually forced to resign and the organization settled the case by entering a Corporate Integrity Agreement that required the division of general counsel and compliance function. A practice may wish to consider creating a compliance committee in addition to appointing a compliance officer. Establishing a committee can be very helpful to the organization gaining physician buy-in and demonstrating that the organization is serious about compliance issues. As a practical matter, the compliance committee involves more individuals in the compliance process and can make the task of the compliance officer much easier. In larger organizations, establishing a compliance or ethics committee is strongly recommended. Smaller organizations should consider fulfilling this task at the Board level through regularly scheduled discussions of compliance issues. An integral part of the compliance program is the standards of conduct. The standards of conduct should include simply stated standards, in terms that can be understood by all levels of employees and others that deal with the practice that provide information concerning the commitment of the practice to compliance matters. The Standards of Conduct are not the place to get into legalistic discussions of the various laws that could apply to operations or present compliance challenges. The Code of Conduct should be a summary that everyone can understand and should reflect the general tone of the practice’s commitment to honesty, integrity and legal compliance. Oftentimes the Standards of Conduct will include a personal introduction or letter from the highest ranking individual in the clinic which briefly explains the purposes of the Standards of Conduct and the practice’s commitment to legal compliance. This helps to set the tone within the practice that compliance and ethical behavior are a core value and principal of the practice. The compliance plan itself will provide detail in the seven areas of an effective compliance program as set forth in the Federal Sentencing Guidelines. The Compliance Plan will normally cover each of the seven areas. Additionally, there may be a more detailed discussion of some of the laws that may apply to the specific practice. One of the primary elements in a Compliance Program is the creation of a system that permits employees and others to provide information regarding potential compliance issues without fear of retaliation. In larger organizations, multiple pathways permitting employees to make anonymous complaints should be maintained. 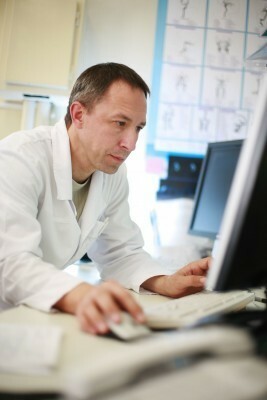 Oftentimes providers use 24 hour compliance “hotlines.” Online reporting systems or “drop boxes” are also commonly used. Whatever system is used, it is crucial that employee understand that they are encouraged to provide information and that there is a clear prohibition against others in the organization retaliating against them for providing information. It should also be made clear to employees that wherever possible the identity of the person providing the information will be kept confidential. The establishment of the compliance reporting process and communication to employees that retaliation will not be tolerated is a central element to an effective compliance program. Such a system will help the practice obtain valuable information, hopefully early on, before the issue becomes a big problem. Additionally, the openness of the program will send a strong signal to the outside world, such as government regulators, that the organization takes compliance seriously. If information is obtained through the hotline system it must be taken seriously. Certainly not every piece of information will be reflective of a serious compliance problem, and an employee could potentially have other motives for making a compliant. Regardless, it is crucial that the information be acted upon and that the action be documented. If the compliance officer concludes that there were alternative motivations for the complaint, that fact should be substantiated and documented. If an objective investigation indicates that there could be a compliance issue, the matter needs to be pursued through an appropriate outcome. Depending on the circumstances and the result of a thorough investigation, the outcome could range anywhere from additional training through a self disclosure to the government. One of the elements required by the Federal Sentencing Guidelines and described in all of the OIG industry specific Compliance Guidelines is that the Compliance Program include a mechanism to deal with compliance problems as they are discovered. In some cases the appropriate action may be a change in policies and further education. In more extreme cases of compliance violations should lead to employment discipline of various degrees depending on the nature and extent of the violation. Other cases will require full disclosure to the Federal government and repayment of overpayments and possible penalties. It is important that your compliance program fit seamlessly with your employment policies. Part of developing a compliance program is adopting suitable employment standards that let employees know what to expect from an employment standpoint if they are found to be engaged in compliance infractions. These policies need to be communicated to employees as part of their training, both so they know the potential employment implications of compliance infractions, and so employees understand how seriously compliance issues will be taken by the organization. When it comes to compliance matters, the “buck stops” with the board of directors or other governing body of the organization. The governing body should be involved in the creation and adoption of all policies and procedures. The governing body and top management should take all actions necessary to make compliance a top priority within the organization. The board should issue an initial resolution regarding compliance at the inception of the process of creating a plan. The resolution should indicate the commitment of the governing body to compliance. It should also allocated sufficient funding to the establishment and operation of the compliance program. All of these actions indicate the organization’s commitment to compliance. During the development stage, the governing body should be kept in the loop. Frequent reports should be provided to the governing body and input into the process should be provided by the governing body. The governing body should approve the steps that are taken in writing. If further direction comes from the governing body, it is recommended that the direction be placed in writing. This will indicate the ongoing input from the governing body and further solidify the organization’s commitment to compliance. The governing body should also assist with other professionals in the organization “buying in” to the compliance efforts. It is very helpful for the governing body to be proactive in compliance issues and set the tone for the “compliance spirit” within the entire organization. It is extremely important for the organization to take a systematic approach to both developing and operating a compliance program. Each step of the formation process, from the initial planning stage through final implementation, should be documented with a great deal of detail. The information should be presented to the governing body for review periodically through the implementation stage and the governing body should approve and adopt the information and provide additional suggestions and directives to the compliance officer. When establishing and operating your compliance program, keep in mind that it is very possible, if not highly likely, that someday you will be called upon to defend the actions that you took to establish and operate the program. This is a very useful mindset to have while you are performing compliance functions. We often advise organizations to act as if the organization is actually under a Corporate Integrity Agreement and to document each steps as if they are providing the information directly to the government. Another key element of an effective compliance program is to have an ongoing education and training program for employees. Training should occur at the inception of the program and upon commencement of employment by any new employees. Additionally, the organization should adopt an ongoing training program to provide period refreshers of basic issues and the requirements of the program. Additionally, topic-specific training should occur based on compliance risks or problems that are identified through the operation of the compliance program. It is important that the compliance program be seen as a continual process within the organization. Adopting a compliance program and then leaving it sit on the shelf will be of little if any effect. In fact, failing to adopt compliance as a process rather than a static “form” can present the organization with more risk than failing to adopt a compliance program at all because the compliance program that is not actively “worked” sets expectation and requirements that will not be met. The organization should adopt an effective ongoing process to monitor and audit the organization for compliance difficulties. Risks areas that are identified by the monitoring process need to be reinforced with amendments to the compliance program, action by the governing body, potential internal discipline, additional training, and in extreme cases, self reporting to the federal government. The process of developing an effective compliance program will not be without some pain, internal resistance, and resources. The payoff will often not be as apparent as the effort that it takes to develop and operate an effective program. The risks you are avoiding can be very difficult to see or quantify. However, the failure to confront and mitigate those risks can be devastating to your organization. Repayment obligations for false claims are generally three times the amount of the claims plus $15,000 per claim. It is shocking how fast the penalties add up. 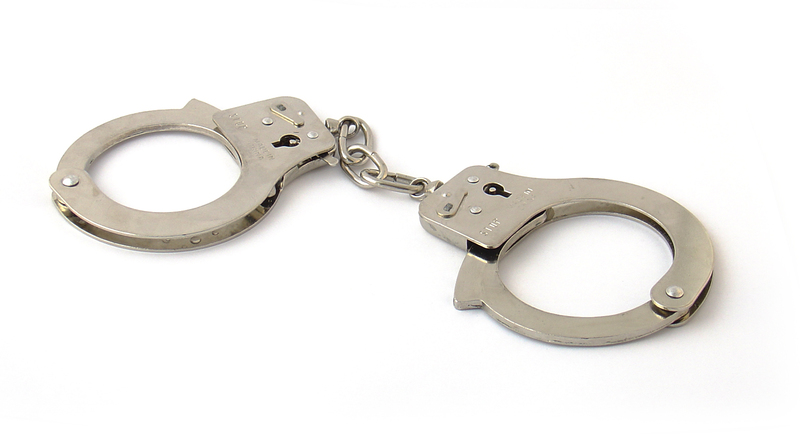 Extreme cases of fraud can also lead to criminal investigation and prosecution. Recently enacted health care reform legislation makes it easier in a number of ways for the government to bring criminal prosecutions in the health care area. Now that compliance programs are becoming mandatory for most providers, including physician practices, it is necessary for providers to confront these issues. Do not make the mistake of taking this task on in a half-hearted manner. The result will not provide you with any of the benefits of an effective compliance program and can actually hurt you if a problem ever arises. Even though the date for adopting mandatory compliance plans for physicians is not yet upon us, you should start now to assure that your program is effective and that you have time to develop the appropriate “buy-in” by professionals in your practice. The proper process as identified above cannot be accomplished by taking “canned” compliance policies and adopting them. You must go through the steps necessary to develop a meaningful program. We expect HHS to establish compliance program core elements that continue to track prior OIG guidance and the federal Sentencing Guidelines elements for an effective compliance program when developing required compliance program elements for other providers/suppliers. The OIG issued compliance guidance for Individual and Small Group Practices in October of 2000 (“Physician Practice Guidelines”). The Physician Practice Guidelines include some degree of “scalability.” OIG has indicated in the past that what may constitute effective compliance measures for a large, complex organization may be unnecessary for a small physician practice or supplier. The Physician Practice Guidelines indicate that the “guidance for physicians does not suggest that physician practices implement all seven components of a full scale compliance program.” The extent of required compliance activities will depend on the size of the provider and the scope and complexity of the practice. There is no “one size fits all” solution. In order to be effective, a compliance program will need to be based on the specific risks and factors associated with the practice. We recommend that physician groups begin the process of establishing compliance programs as soon as possible and that they not wait for final regulations. Compliance programs are a good way for physician practices to reduce risk associated with fraud and abuse and other legal matters that present risk to their operations. It makes sense for physicians to begin development now to provide ample time for creation of appropriately scaled policies and input from various personnel in the group. It is clear that simply adopting written policies will not be adequate to meet the requirements of the mandatory compliance obligations. Rather, physician practices will need to establish an ongoing system of monitoring their operations for compliance issues and modifying practices based on the specific factors present in the practice environment. The development of compliance policies require consideration of the seven (7) core elements of effective compliance programs as contained in the Federal Sentencing Guidelines and in the various industry guidance that have been released by the Office of Inspector General, including the Physician Practice Guidelines. The Physician Practice Guidelines provide some guidance to direct the structure of compliance programs for physician practices. However, every practice is different and must go through the process of identifying risk areas that are applicable given the precise makeup and personalities involved in the practice environment. Simply adopting “canned” compliance policies will be largely ineffective. The practice needs to document the entire process of creating policies, perform “gap analysis” or other suitable analysis of the precise risks that are faced by the practice, document commitment and involvement from the highest levels of the practice, and train staff and others on the obligations and nature of the compliance program. John H. Fisher, J.D., C.H.C. It is no secret that the government is becoming increasingly aggressive in its enforcement efforts against health care providers. At the same time, regulations are becoming more complicated. The combination of these two forces means that many unknowing providers are being caught up in costly investigations of their practices. The government is taking a “return on investment” approach to health care fraud and is seeing a good return on every dollar that they put into the efforts. As a result, we cannot expect fraud enforcement to decrease any time soon. For this reason, it is important that providers, including medical practices, develop and operate systems to help them comply with governmental regulations and third party payer billing requirements. The development of a formalized compliance program has become an indispensible part of the risk management process of medical practice. Failure to maintain compliance can lead to an increase in reimbursement disputes, increased uncollectable fees, more demands for repayment, civil litigation and in extreme cases, potential criminal prosecution. Matters to be addressed in compliance programs include not only billing practices but also anti-kickback compliance, state and federal self-referral prohibitions, state fee-splitting laws, licensure and accreditation requirements, labor relations matters, antitrust and price fixing prohibitions, HIPAA and medical records issues and a whole host of other state and federal laws. Formalized compliance programs first began appearing in the late 1990s as a way to minimize risk in primarily large institutions. Compliance programs are a child of the Federal Sentencing Guidelines which factors in the adoption of 7 pillars of an effective compliance program when a health care organization is facing potential institutional criminal penalties for legal violations. Formal compliance programs were more deeply woven into the fabric of many organizations as the Medicare Office of Inspector General began releasing compliance guidance directed toward specific segments of the health care industry in the late 1990s and continuing through the mid 2000s. 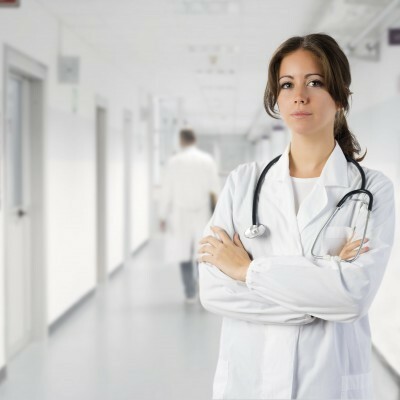 One of the industry segments that the OIG has specifically addressed in its published compliance guidance are physician practices. Even though compliance programs have not traditionally been mandatory, over the past ten years, formal compliance has become industry “best practices” for virtually all segments of the health care industry. Compliance guidance for physician practices was issued by the Office of Inspector General in 2000. Since that time, many physician practices, especially more complex specialty practices, have developed some sort of compliance plan. Although compliance plans have not previously been mandatory, they have become “industry standard” as a way to minimize risks associated with health care regulations such as the Health Insurance Portability and Accountability Act of 1996, the Medicare and Medicaid Fraud and Abuse Laws, Anti-kickback Statute, Civil Monetary Laws, False Claims Act, the Clinical Laboratory Improvement Act and all other state and federal statutes, regulations and directives that apply to the operation of a complex physician’s practice. Section 6401 of the Patient Protection and Affordable Care Act of 2010, as amended by the Health Care Education Reconciliation Act of 2010 (the “Affordable Care Act”) requires HHS and the Office of Inspector General to promulgate regulations that require most healthcare providers and suppliers to establish compliance programs. The compliance programs are intended to be “effective in preventing and detecting criminal, civil, and administrative violations” under the Medicare and Medicaid laws and other laws that govern operations. Under the Affordable Care Act, physicians and group practices, along with other relatively small providers, will be required to establish compliance programs as a condition of enrollment in the Medicare program. Early versions of the Affordable Care Act included an exception for physicians which was deleted from the version of the Act that was signed into law. We know that the mandatory compliance program requirement will apply to physician practices absent further legislative action. The Affordable Care Act’s compliance program mandates are divided into two categories: (1) requirements for nursing facilities and (2) requirements for all other providers and suppliers. The nursing facility compliance program provisions in the Affordable Care Act are relatively detailed and contain a specific timetable for implementation. The statutory requirements pertaining to other types of health care providers do not provide any time frame for implementation but rather leave this issue to the discretion of HHS. HHS is required to issue regulations creating a timetable and basic core compliance program requirement. These matters are to be addressed in regulations that are yet to be published. Medicare & Medicaid Services (CMS) officials have made public statements that indicate that the agency expects to issue the mandatory compliance program requirements on a rolling basis. There is no additional information on the expected timetable for application of the mandatory compliance program requirement at this time, but most professionals in the industry expect regulations to be out by early in 2012. HHS has announced that thirty-two leading health care organizations have been named as participants in the new Pioneer Accountable Care Organizations (ACOs) initiative under the Affordable Care Act. The Pioneer ACO initiative will encourage primary care doctors, specialists, hospitals and other caregivers to provide better, more coordinated care for people with Medicare. HHS claims that this could save up to $1.1 billion over a five year period. The 32 Pioneer ACOs underwent a rigorous competitive selection process by the Innovation Center, including extensive review of applications and in-person interviews. According to HHS, the initiative will test the effectiveness of several innovative payment models and how they can help experienced organizations to provide better care for beneficiaries, work in coordination with private payers, and reduce Medicare cost growth. The Pioneer ACO model requires ACOs to engage other payers in similar efforts to reward health care providers that deliver high-quality care. The Pioneer ACO model also includes strict beneficiary protections, including the ability for patients to seek care from any Medicare provider they wish. 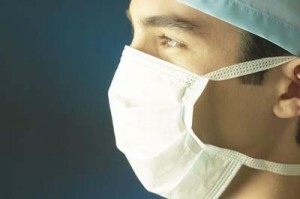 The first performance period of the Pioneer ACO Model will begin January, 1st 2012. The final list of initial participants in the Pioneer Program is contained on the CMS Fact Sheet. 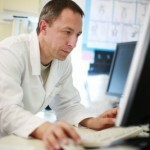 You are currently browsing the Health Law Blog blog archives for December, 2011.